Bellator kicks off back-to-back weeks of events in June with the Bellator 156 card at the Save Mart Center in Fresno, Calif. Lately, Bellator has offered up a five-fight main card, but this show contains a four-fight main card with a title fight in the main event. That title affair takes place at the bantamweight level, where the rematch between Marcos Galvão and Eduardo Dantas looks to finally be happening after two prior attempts failed to materialize. Galvão is a former mentor and teammate of Dantas. In their first fight, Dantas was able to retain his title with a knockout victory over Galvão. 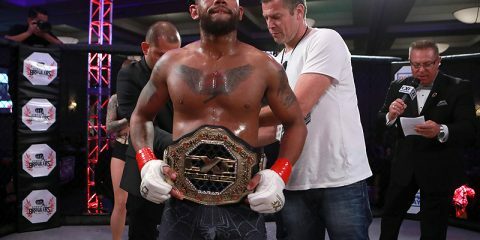 Galvão later captured the title with a victory over Joe Warren, who had in turn ripped the belt from the grasp of Dantas. There have been two previous attempts in the last year to make this fight happen, but first Dantas and then Galvão have pulled out due to injuries or illness. 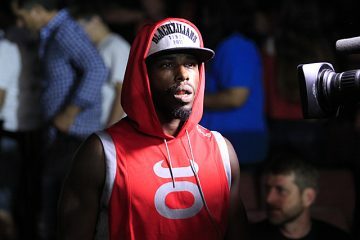 In the co-headliner, Chidi Njokuani will look to break his streak of decisions and earn his first knockout in three years against late-replacement opponent, Thiago Gonçalves. The middleweight division will also see a ton of action on the night. Two of the top middleweights will compete to further their step into the title picture. Former middleweight champion Brandon Halsey is out to find a quick title shot if he defeats his opponent, John Salter. Meanwhile, prospect Chris Honeycutt looks to break his ceiling and take a jump into the title picture against Mikkel Parlo. The Bellator 156 preliminary action will air live on Bellator.com at 7 p.m. ET. 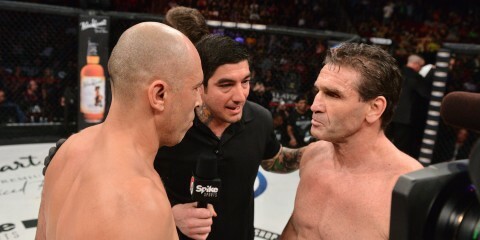 The main card will air live on Spike TV at 9 p.m. ET. On a more somber note, I just wanted to take the time to say my thoughts and prayers are with Kevin “Kimbo Slice” Ferguson’s family after he passed away early last week. I started watching MMA because of Kimbo Slice when I was freshman in high school and he quickly became the fighter I watched the most. I was excitedly anticipating his next fight, which would have come next month at Bellator 158. I always gleefully love breaking down his fights because it gives me the opportunity to watch those fights and interviews for work purposes and it eventually brings me back down a path of when I was freshman watching him for the first time again, 10 years ago. If it wasn’t for his entry into the sport, I most likely wouldn’t be here doing something I enjoy. I owe a lot for him choosing to step foot inside a cage and we as fans owe him a lot for what he did for the sport to help bring it to the point of where it is today by being such a polarizing figure with nasty knockouts on YouTube. Kevin Ferguson will be missed. It’s a rematch of the student versus the teacher when Galvão and Dantas finally square off. This fight has been simmering for a while, with the most recent delay coming as the result of a Galvão illness and the previous delay due to a Dantas injury. The way things have gone, there is always the chance the fight may not even happen on this particular card. Dantas is looking to go up 2-0 on Galvão. Their first fight ended with Dantas retaining his title after a knockout finish of Galvão. Since then, they have gone on two different paths. Dantas has only fought three times in the three years since their first meeting. In that span, he has gone 2-1 with wins over Anthony Leone and Mike Richman. His lone loss came against Joe Warren in one of the weirder grappling displays you will ever see. Galvão, on the other hand, has become the bantamweight champion for Bellator and has gone 4-0 with his biggest win coming over the aforementioned Warren for the belt. Dantas should look to repeat his performance from the first fight, where he relied on his striking to beat Galvão. Dantas won’t win this fight on the ground, but his strength in his striking, a hurdle Galvão failed to overcome the first time. Galvão will seek to push this fight to the ground, where he obviously holds an advantage. Dantas isn’t bad on the mat, but he isn’t at Galvão’s level — this much was clear in the Warren fight. Galvão was able to beat Warren on the ground, whereas Dantas wasn’t able to do much against a smaller fighter. It’s been more than a year since either of these men has been in the cage. That makes this fight all the more interesting. How well they perform is up in the air after such a lengthy layoff. They could have bad cardio and fade early, or they could fight like they haven’t missed a step. If the first fight is any indicator, Dantas should take the victory and, with it, the belt. Njokuani meets Gonçalves, a late replacement, after his original opponent, Douglas Lima, was rebooked for a different fight at Bellator 158. Njokuani is a striker who likes to make his presence known on the feet. There isn’t a significant chance he will willingly go to the ground in this contest. This will also be Njokuani’s second fight in Bellator after he was able to best Ricky Rainey by decision at Bellator 146. Njokuani’s last knockout win was almost three years and four fights ago. Despite that, his striking has earned him a nice five-fight winning streak in promotions like RFA and Tachi Palace, as well as in his Bellator debut. Gonçalves is going to want to avoid striking with Njokuani at all costs. The 35-year-old isn’t going to be able to win a battle on the feet against Njokuani, who will outpoint him at every turn. Instead, his best bet is to use the cage to grind down Njokuani and fight a much closer fight there before transitioning to the ground. Gonçalves has recently fought for the World Series of Fighting, where he defeated Matt Baker. He also had a two-fight stint, going 1-1, in Pancrase. Njokuani is one of the bright prospects on Bellator’s roster. He should get a nice test here, but it’s only a setup for bigger and better things. Njokuani by decision. 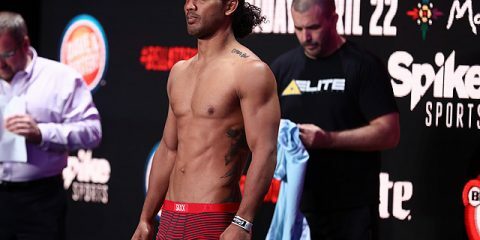 Halsey was the former Bellator middleweight champion until his size disadvantage put him on the wrong end of a lopsided knockout loss to Rafael Carvalho. It was one of the few fights in Halsey’s career where he couldn’t use his power to secure the victory. It will be interesting to see just how he returns to the cage against John Salter. Halsey is a power wrestler. 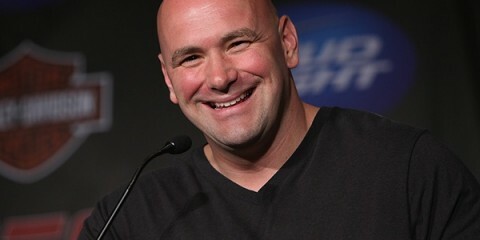 He really likes to wear down his opponents by overpowering them against the cage or by securing the takedown. This is most evident when in his two fights leading up to the loss to Carvalho. Alexander Shlemenko was the smaller fighter against Halsey, and Halsey immediately made his presence known and swooped in for the rear-naked choke finish. It took only 35 seconds, but Halsey used that power edge to defeat a man who at the time was one of the better fighters on the Bellator roster. 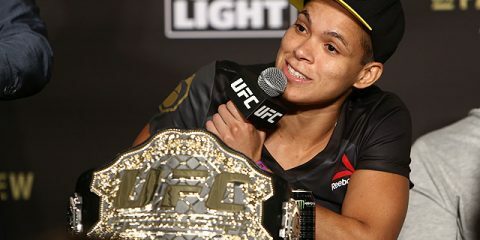 However, the Carvalho fight showed that a bigger fighter could show a lot of success against Halsey if they have the takedown defense and the mind to stay away from Halsey’s wrestling. Yet, Kendall Grove had an immense height and reach advantage and was unable to do exactly that. Grove struggled over the course of the fight and allowed Halsey to ride on top until the fourth round when Halsey finally finished the fight. Halsey’s going to look to apply the same game plan against Salter. It doesn’t take a rocket scientist to figure this out. Halsey knows where he is most likely to find success and dominate a fight. Salter is a good opponent for Halsey. His veteran status — he has fought in the UFC and Strikeforce Challengers — makes him a good gauge to see where Halsey is at after a loss like the one the former champ suffered to Carvalho. Salter is coming off of his Bellator debut where he submitted Dustin Jacoby in the second round. If the fight does go to the ground, Salter should be able to look for submissions, but he won’t do much in the way of reversing position or being a stingy fight for Halsey’s ground game. Halsey does have some knockout power, but Salter, who has a couple of inches in height and reach advantage over the former champion, should focus on controlling the distance. Salter should also have a cardio advantage over Halsey, who has a tendency to fade late in fights. This affair is only three rounds, but even this duration could lead to a late fade from Halsey. Halsey should rebound, though, and march his way back into the middleweight picture. He’s likely to get the finish before the third round, but Salter’s chances go up the longer this fight lasts. Honeycutt is another powerful wrestler in Bellator’s middleweight division. He gained some traction after winning his first two fights with the promotion in rather convincing fashion. First, he beat Aaron Wilkinson. Then, it was Clayton MacFarlane. Both victories came by knockout. Honeycutt met his match in Paul Bradley, another tough wrestler with some knockout power. Their first fight ended in a no-contest, but their second clash, which took place six months later, concluded when Honeycutt suffered his first professional loss. Honeycutt has since returned to the cage. In April, he fought Matt Secor and was able to secure another decision victory. Honeycutt really likes to use his wrestling base to secure a dominant position and finish the fight with strikes. His ground-and-pound attack can be a handful for opponents. Parlo is a Bellator veteran who went to the middleweight tournament finals in 2013. 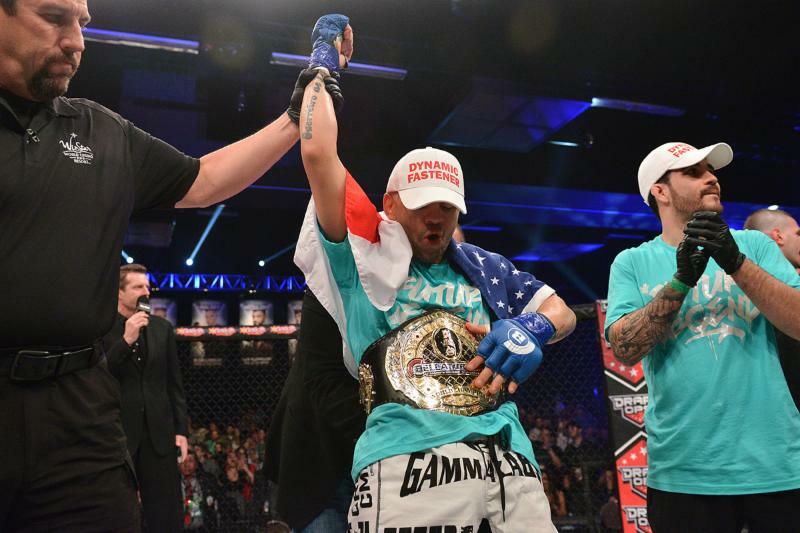 He has gone 4-2 under the Bellator banner and has wins in his past two fights, including one which took place outside of the Bellator cage in Germany. Parlo has earned seven knockout victories, but he is a pretty well-rounded fighter. His wrestling game has constantly improved since a good display against Brian Rogers at Bellator 98, and he will most likely need to rely on that skill set against Honeycutt. 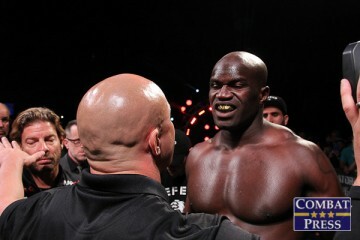 If Parlo is able to keep this fight on the feet, he should be able to get the victory. Honeycutt had trouble with Bradley because Bradley was able to dictate the terms and kept the fight where he wanted it, thus eventually knocking out Honeycutt. Honeycutt is going to need to close the distance quickly and often like he has in the past and rely on his wrestling to take over. His fight against Secor showed some needed improvements. Honeycutt should get the TKO victory.